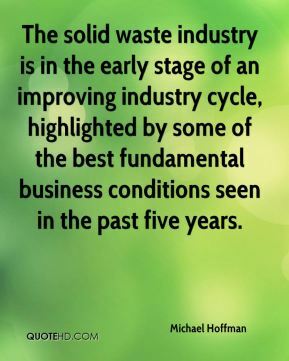 The solid waste industry is in the early stage of an improving industry cycle, highlighted by some of the best fundamental business conditions seen in the past five years. We're set up like a rock concert. 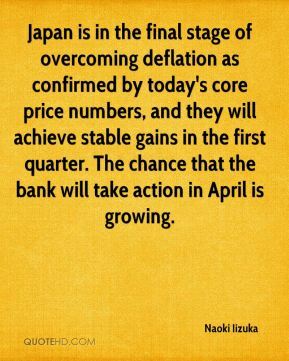 It's a theatrical production. 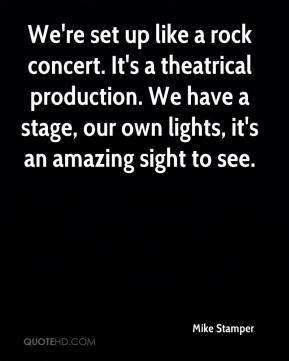 We have a stage, our own lights, it's an amazing sight to see. 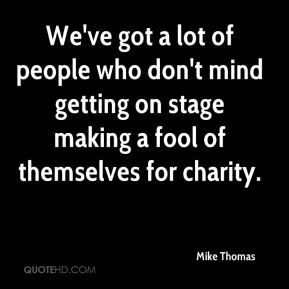 We've got a lot of people who don't mind getting on stage making a fool of themselves for charity. 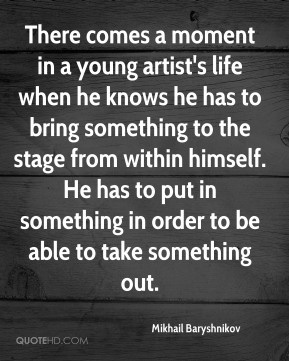 There comes a moment in a young artist's life when he knows he has to bring something to the stage from within himself. He has to put in something in order to be able to take something out. I can still hardly believe that I performed last year on the same stage that I watched the Country icons perform on so many times growing up. I have had an amazing year since the release of Kerosene last March. Being asked to perform at The Coliseum again this year is icing on the cake! When you are on that huge stage it hits you that you are singing for the people who truly love Country Music -- it's a little intimidating but exciting at the same time. I am so thankful that CMA has enough confidence in me to give me a great time slot again. 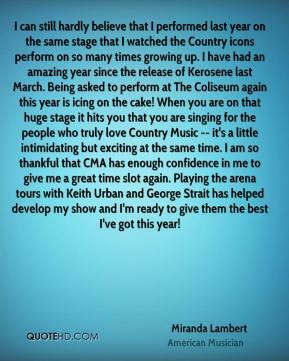 Playing the arena tours with Keith Urban and George Strait has helped develop my show and I'm ready to give them the best I've got this year! 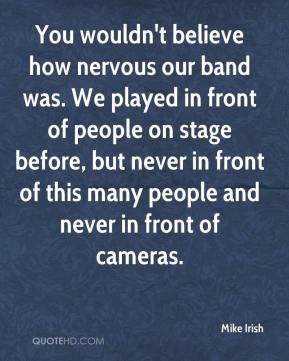 You wouldn't believe how nervous our band was. We played in front of people on stage before, but never in front of this many people and never in front of cameras. 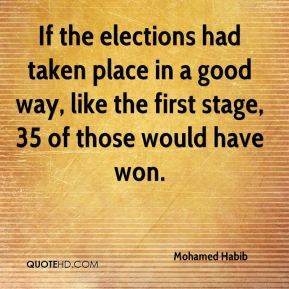 If the elections had taken place in a good way, like the first stage, 35 of those would have won. The dam looks like it is going to imminently burst, ... At this stage, all we can do is wait and keep our fingers crossed. 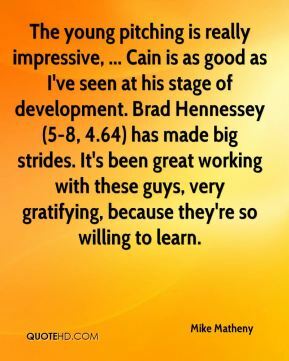 The young pitching is really impressive, ... Cain is as good as I've seen at his stage of development. Brad Hennessey (5-8, 4.64) has made big strides. It's been great working with these guys, very gratifying, because they're so willing to learn. 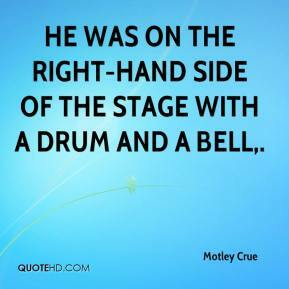 He was on the right-hand side of the stage with a drum and a bell. 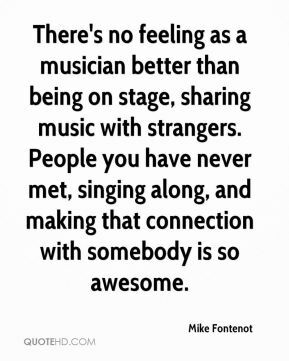 Plays can create empathy. 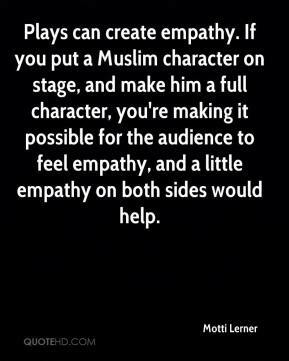 If you put a Muslim character on stage, and make him a full character, you're making it possible for the audience to feel empathy, and a little empathy on both sides would help. 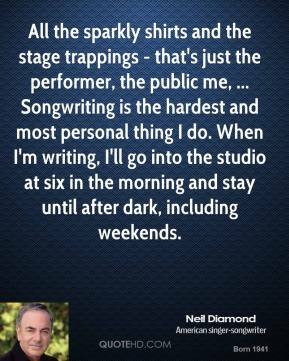 All the sparkly shirts and the stage trappings - that's just the performer, the public me, ... Songwriting is the hardest and most personal thing I do. When I'm writing, I'll go into the studio at six in the morning and stay until after dark, including weekends. He's such an insignificant player on the national stage, a plodding speech praising JFK and discovering tax cuts won't do much to enhance his stature. 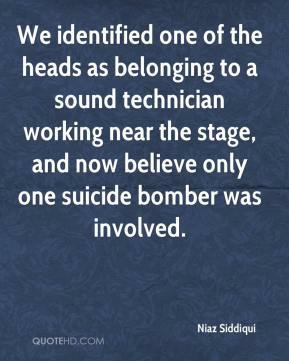 We identified one of the heads as belonging to a sound technician working near the stage, and now believe only one suicide bomber was involved. I've never heard kids blame other kids to their faces on-stage. 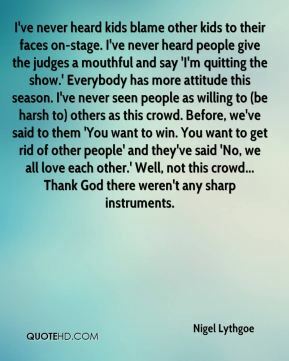 I've never heard people give the judges a mouthful and say 'I'm quitting the show.' Everybody has more attitude this season. I've never seen people as willing to (be harsh to) others as this crowd. Before, we've said to them 'You want to win. You want to get rid of other people' and they've said 'No, we all love each other.' Well, not this crowd... Thank God there weren't any sharp instruments. 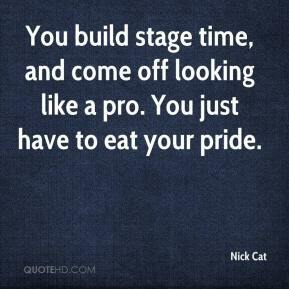 You build stage time, and come off looking like a pro. 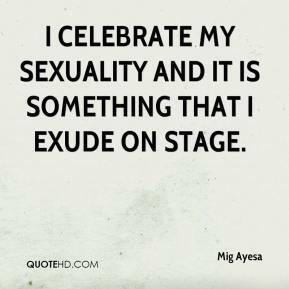 You just have to eat your pride. 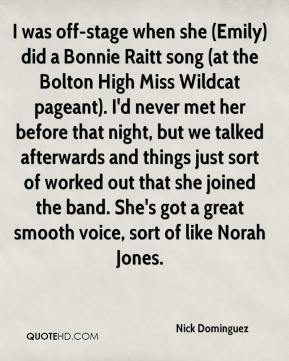 I was off-stage when she (Emily) did a Bonnie Raitt song (at the Bolton High Miss Wildcat pageant). I'd never met her before that night, but we talked afterwards and things just sort of worked out that she joined the band. She's got a great smooth voice, sort of like Norah Jones. [Also,] I'm doing a lot of good stage dives, ... I've been getting a lot of good air, landing halfway into the crowd and getting passed around. But I've got to take off my necklace because I got choked one night by someone grabbing my necklace from behind. That was kind of irritating. 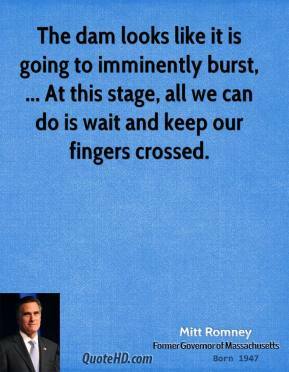 But the audience gets so loud and there's so much energy when I do that, so it's a good way to end the show. 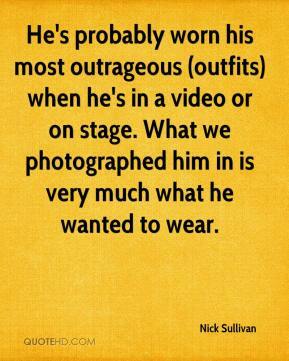 He's probably worn his most outrageous (outfits) when he's in a video or on stage. What we photographed him in is very much what he wanted to wear. That horse was crossing the stage only ... but night after night, I just realized that the public was following the horse instead of looking at the performers. 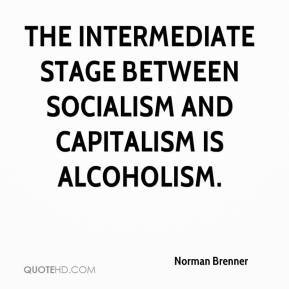 You don't need a costume. You don't need makeup. 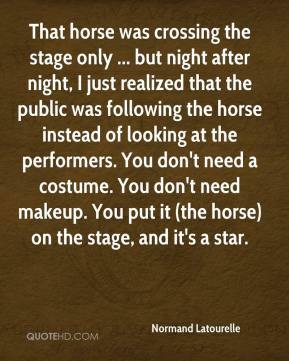 You put it (the horse) on the stage, and it's a star. 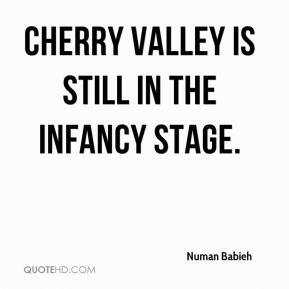 Cherry Valley is still in the infancy stage.